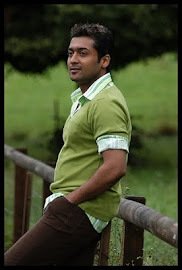 ​Surya is a complete professional. He will go to any extent to get his shot right down to the last detail. The actor believes rain or shine, the show must go on! Surya is now shooting a song for KV Anand directed Matraan in the dry heat of Jhodpur as the summer sets in the desert town. Despite the sizzling heat rising up to 41degrees in a state which is scorching during summer, the crew of around 500dancers along with Surya is going about with the picturisation. The song composed by Harris Jayaraj is said to be a fast paced melody. One thing is sure that Surya- Anand combination along with Harris after Ayan is sure going to rock with Maatraan.